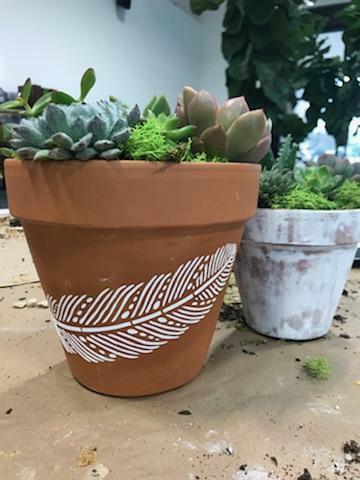 Whether you’re still planning your home’s limewash project or just finished, we thought you’d like to see a creative way to use your Classico Limewash leftovers on terracotta pots, this spring. As an environmentally focused company, we love to find ways for you to get the most out of the products you purchase from us. 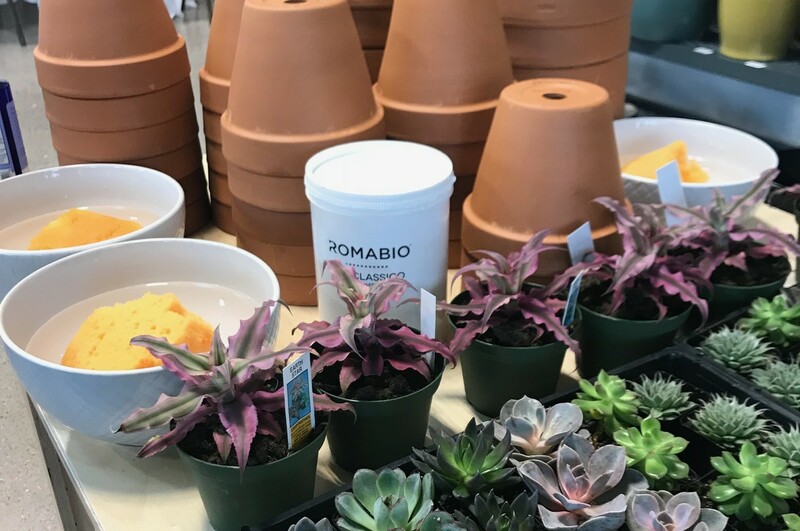 Terracotta pots are the perfect accessory for adding height and depth to an outdoor garden bed or patio, and are ideal as indoor decorative accents – especially in one of our seven neutral colors from the Romabio Classico Limewash line! Unlike latex paint that will crack, flake and peel after a short amount of time in the sun, Classico Limewash is made from slaked-lime, it calcifies and becomes part of the pot over time, allowing the terracotta to ‘breathe’, protecting it from mold. Use full coverage for a more modern look, or brush it on with casual strokes for a true limewashed, weathered look. Mix in some stencils for a bit of whimsy. 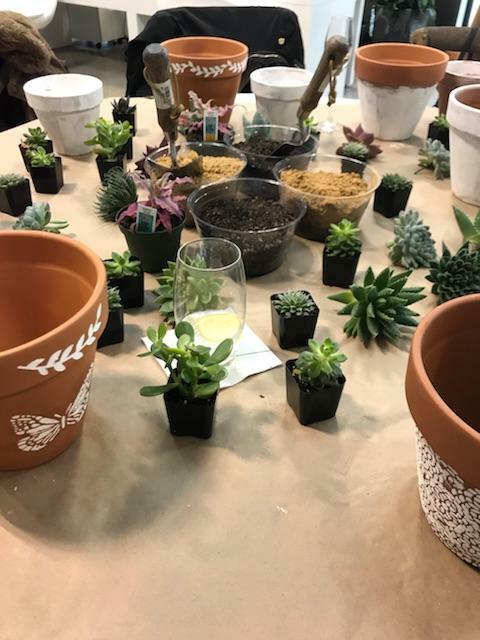 The pots in these photos were created by Southern bloggers visiting the Treehouse store in Plano, Texas during a limewashing workshop over the winter, prepping for spring! Because this was a small project and our Classico Limewash dries fairly quickly, they were able to limewash and plant their pots within a couple of hours. You’ll want to limewash your pots first and allow at least half an hour for them to dry properly before moving on to the planting. Allow yourself at least 1 – 2 hours for this DIY. There are not toxic fumes so this is a project easily done inside. Let us know how it goes! 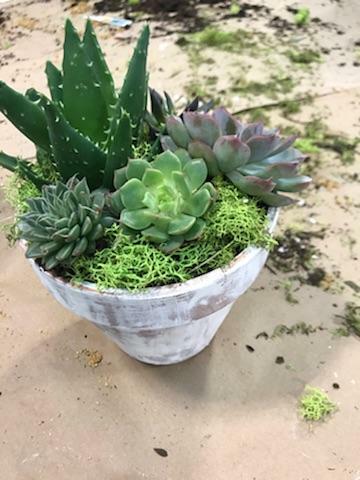 Tag us in your finished limewashed potted plant garden masterpiece on Instagram, Facebook, or Pinterest @RomabioPaints! Want to try this project, on us? Share our Instagram terracotta pot post on your Instagram account, tag us @RomabioPaints, and tell us and your friends why you’d love to try this project. We’ll pick 2 winners on April 15, 2018 just in time for some tax season stress relief!